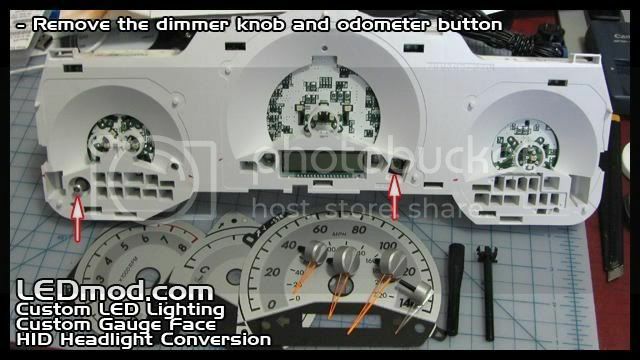 ** NOTE : This isn't for beginner, so if you aren't sure you can do this then, please seek professional help. 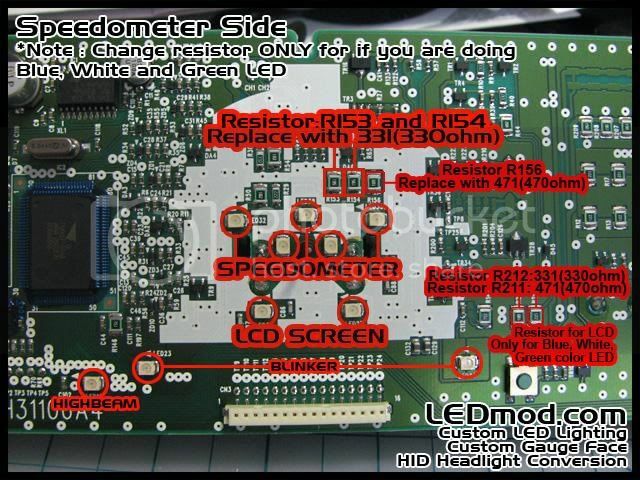 *** NOTE : If you are doing Red LED conversion, you can skip the resistor swap. 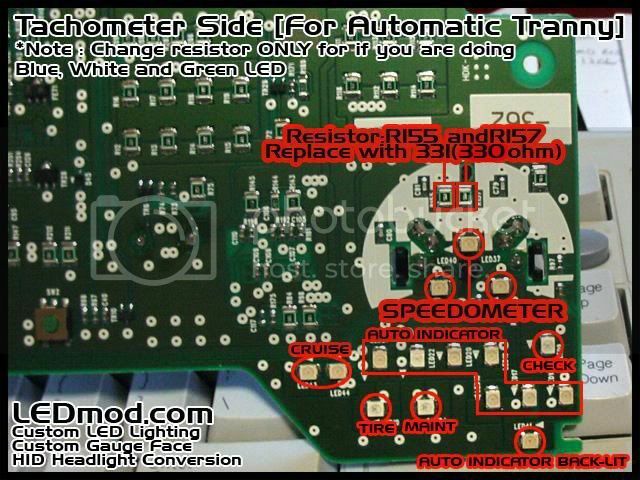 Resistor is NOT required, but for White, Blue and Green LED to light up brighter resistor swap is recommended!! 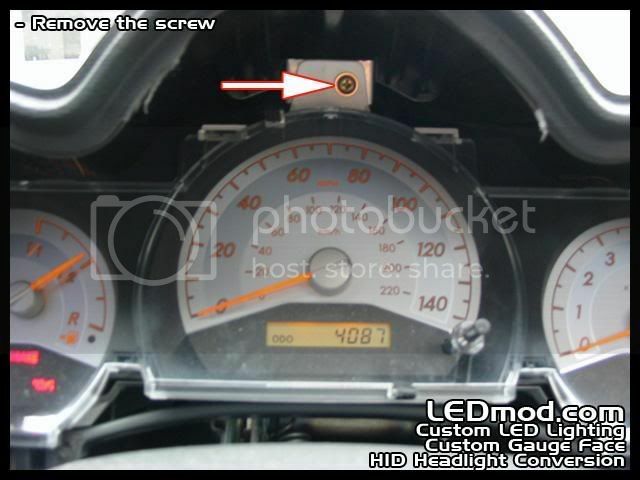 Last edited by LEDmod; 02-25-2012 at 05:00 PM. Oh man I need to do this!! Thanks for the handy guide(s). I am a retard when it comes to this stuff. anyone in south florida that would do this?? 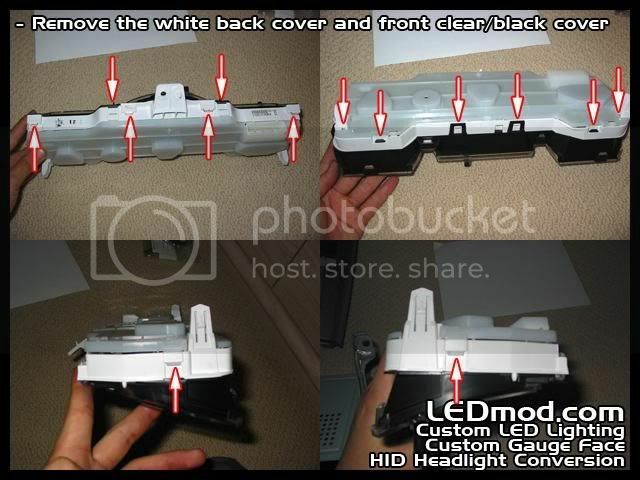 is this the same led guy that got banned for stealing peoples **** or am just confused? 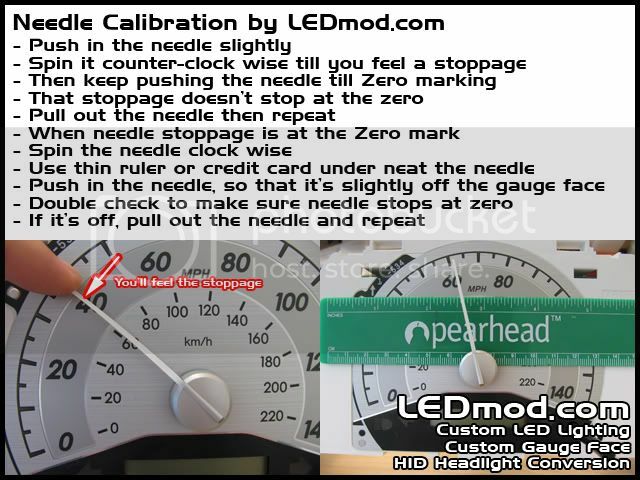 I would recommend, if you are doing this yourself, to try it without swapping the gauge cluster resistors first. 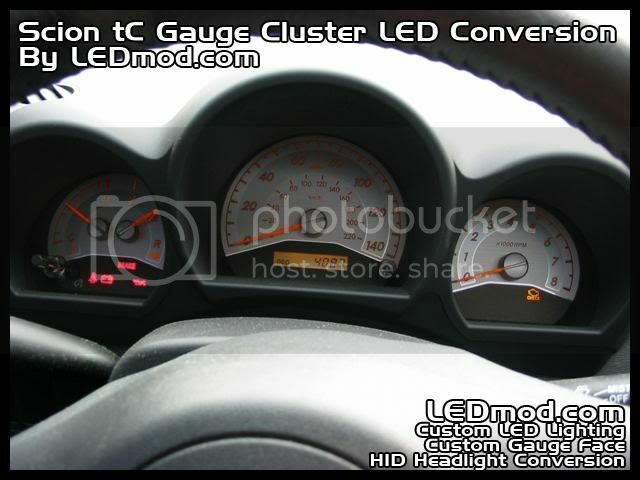 I know most (including myself) do not want the gauges any brighter. 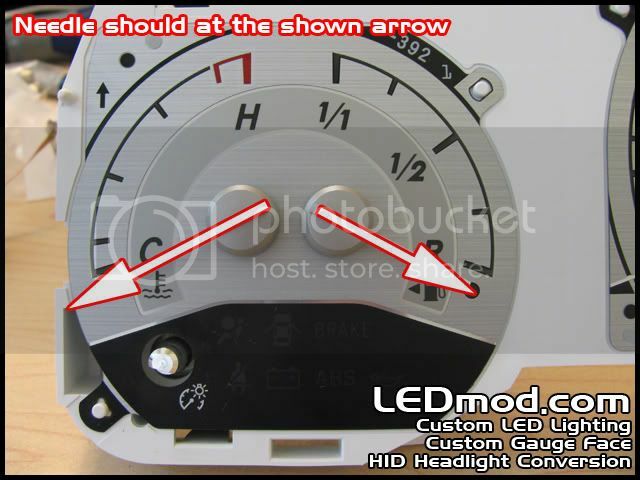 Due to the higher voltage that the cluster leds run on, they will not be dim (they will be nice and bright) without swapping the resistors, so for some, it may be a bit bright to have right in your face at night if you do. 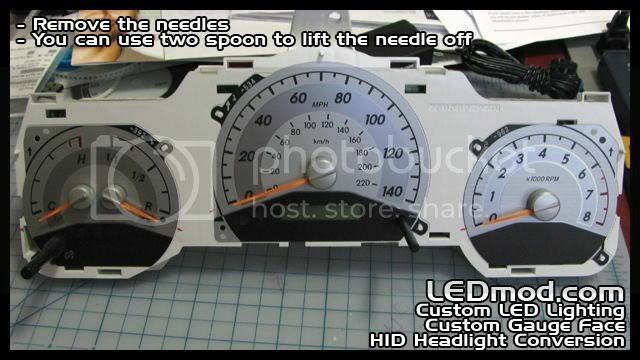 I have my needles a bit bright now, which looks cool, but if I were driving too far at night it would probably get a bit distracting (which is why I make my backlit needle mods for others a bit more tamed down unless they want them super bright). The main point is to know that it will look great either way. 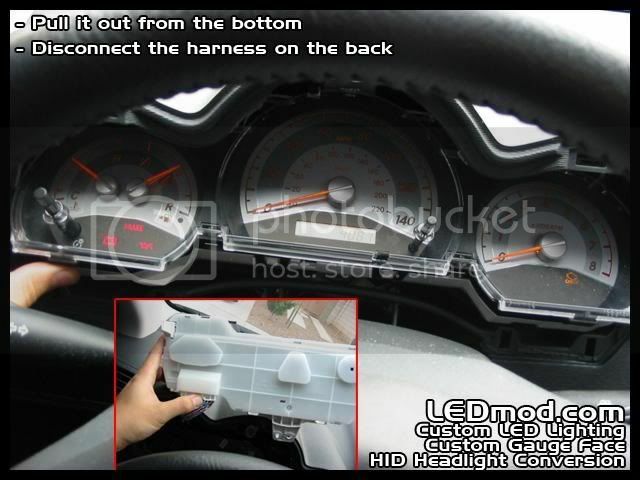 Dont confuse this with the HVAC though. 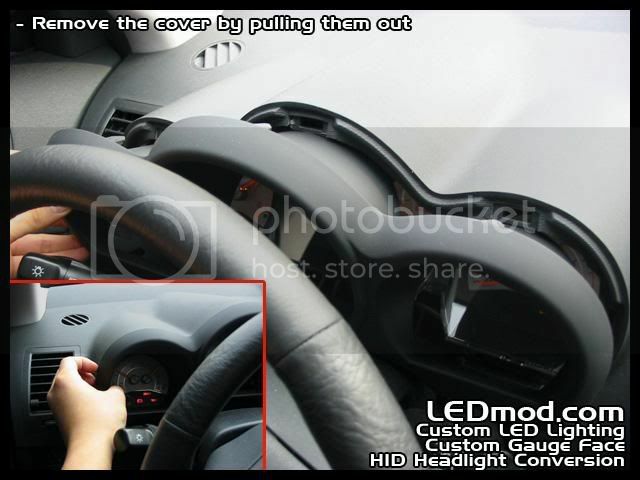 You HAVE to do the circuit mod on it or it will be very dim. 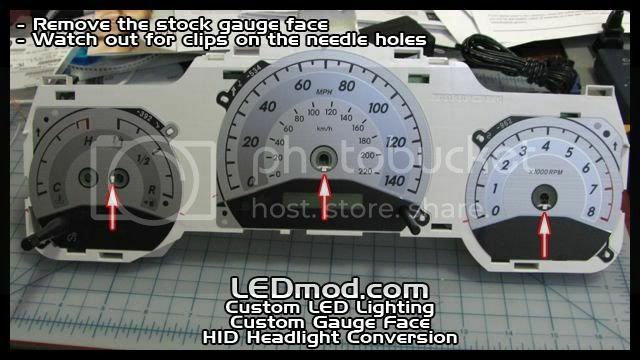 The difference is that it runs on a regulatd 8V supply stock while the gauge leds are running on battery power. 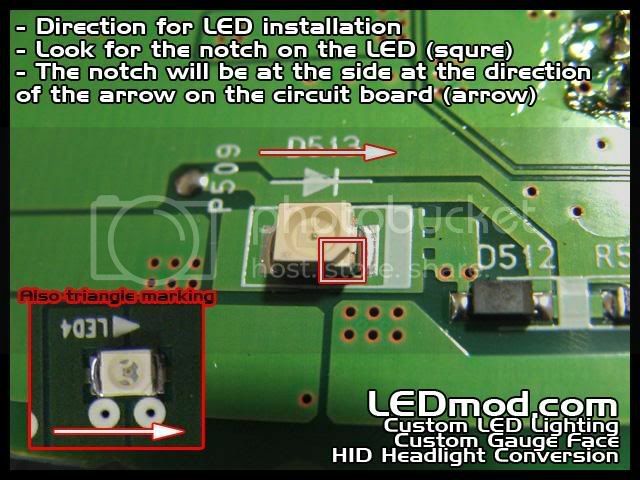 If you have a second soldering iron, the process for removing each SMD LED gets a whole lot easier. 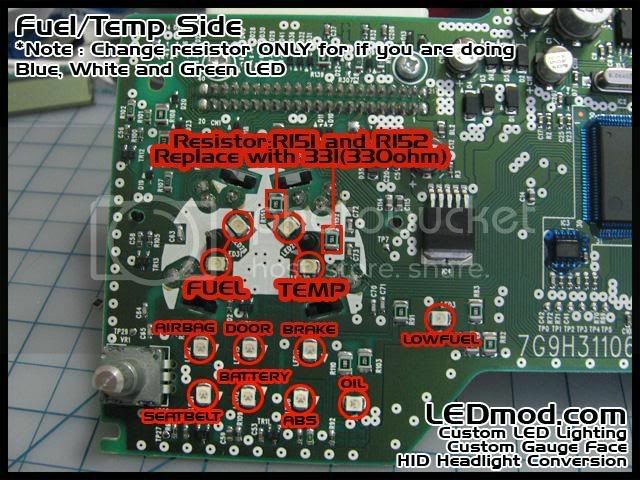 Position each soldering iron tip on the outside of the metal contacts on the SMD LED, and "grab" it as though you were using a pair of tongs. 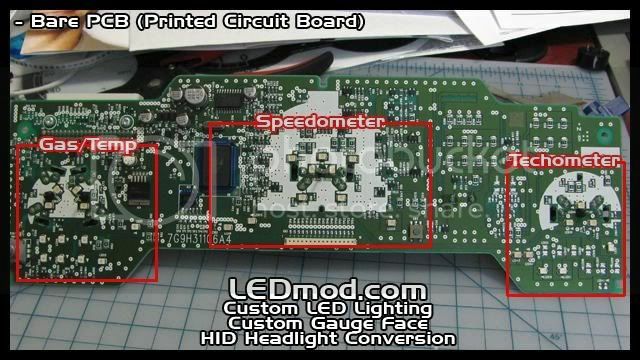 When the solder melts, you can lift it clear in one step. 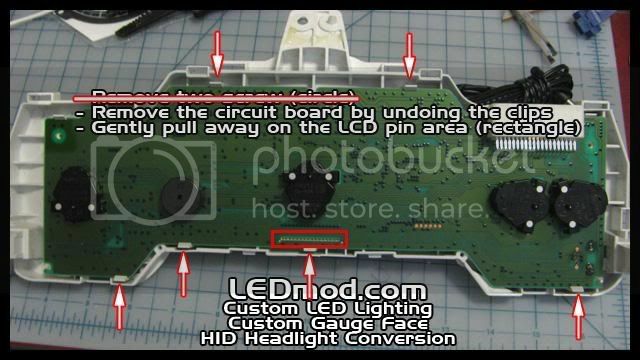 You'll only need one iron for soldering on the new LED. 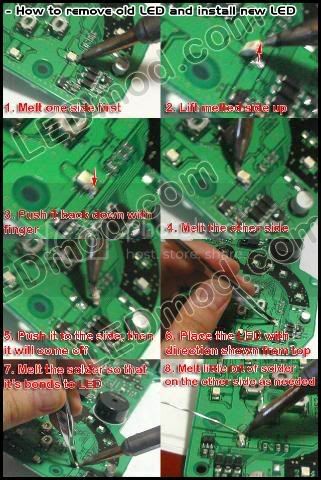 And of course, don't heat the part for too long, or you'll cook the circuit board, which isn't pretty. Get some practice on a Radio Shack perfboard first. 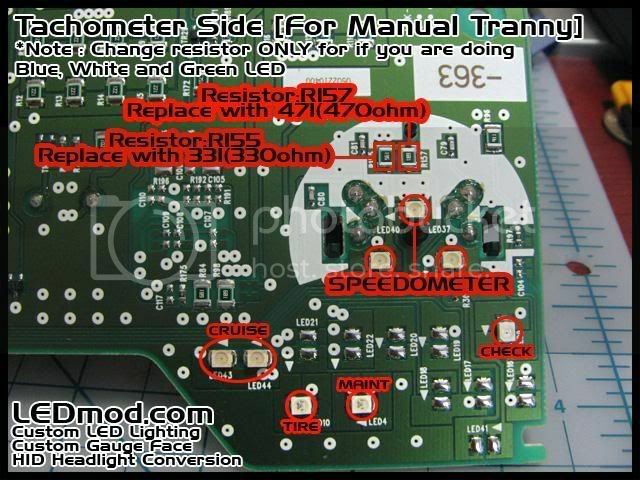 I've put a note " Resistor swap NOT required", it's for people who wants it little brighter..